Fun and fully inclusive jamming session in a relaxed and supportive group session. Participants lead the themes of music and songs. 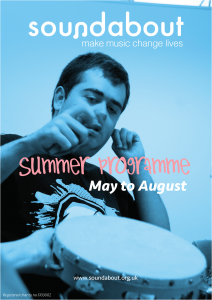 Our full programme can be viewed here.